Celebrations at a Shropshire telecommunications firm are continuing after the team scooped their third award in recent weeks. 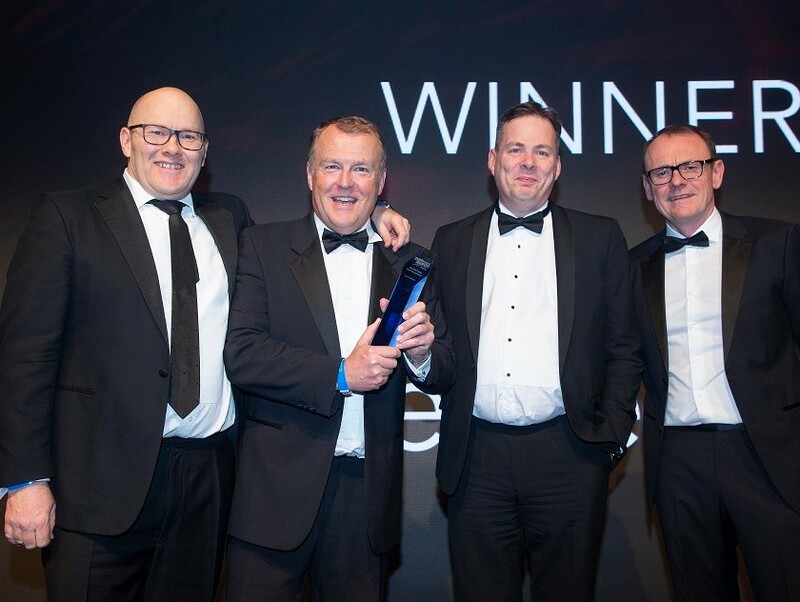 Pure Telecom, based in Shrewsbury, took to the stage at the Mobile News Awards ceremony in London to accept the B2B dealer (under 50 employees) award, which is considered one of the most prestigious industry related awards. They were also shortlisted in the Customer Service category. The latest award win came after they lifted two awards for their ‘world-class customer support’ in the O2 Customer Service and Digital Awards, marking the firm’s ‘extraordinary hard work and dedication over the past 12 months’. Matt Sandford, CEO and David Hayward, managing director of Pure Telecom collected the award at the glitzy ceremony. Reflecting on this achievement, Mr Sandford said: “It is amazing to have won the B2B dealer award. “We were up against some great names and this just shows the hard work and dedication of our team really is key to our success. To be shortlisted in two of the 22 categories was fantastic but to be named as the winners was fantastic. Pure Telecom was highly commended in the B2B Dealer category last year. “We are extremely proud of our reputation as a market leader - not just here in Shropshire but across the UK. Whether our client is a small, local business in the county or a national business with hundreds of connections and products, they are all treated as our number one priority. “Our close working relationships are playing a vital factor in our ability to deliver the high quality service expected of us,” Mr Sandford added.